#10 Best housewarming gifts under $100 in 2019. Have friends moving into a new apartment, or are first-time home-buyers? Then you can’t go wrong with this collection of housewarming presents under 100 dollars. There are loads of gifts you could buy to impress a new homemaker, but the problem is there is an overload of gift ideas to choose from. If your friends or family are getting a new home and you still haven’t decided, or can’t decide, what to get them, then this collection of top 10 new home gifts under $100 will get you out of the pickle! We have scoured the internet for the 10 best and cheap housewarming gifts you can buy right now on Amazon. 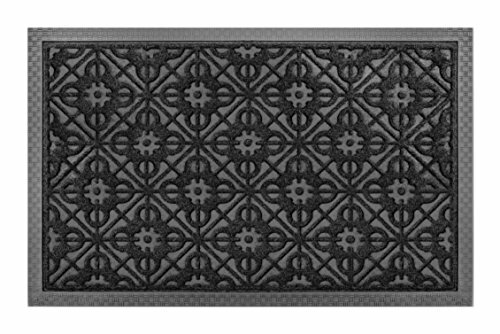 A new home needs a welcome doormat, and this lovely design makes for a great option! This is an anti-slip, anti-bacterial doormat with a rubber back that will stick to the floor and stay in place. The design, as you can see, is very stylish and elegant, which means it will look great. What’s more, this Front Door Doormat is made of high-quality polypropylene and it’s extremely easy to wash. All they have to do is spray water through the polypropylene fiber and the mat will be as good as new once again. 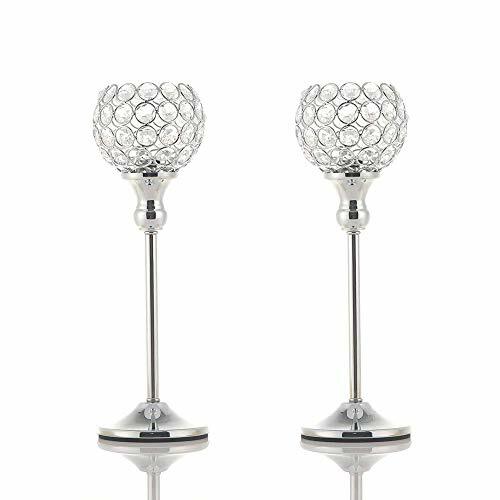 Decorations are always a great housewarming gift, and these Crystal Candle Holders are a great option. The elegant, classic design in the shape of a wine glass with a beautiful long pedestal makes for a breathtaking and simple decoration that will definitely be the focus of the space. The crystal bowls of the candle holder are made with high-quality octagonal k9 crystals beads, which adds to the luxuriousness of this piece. Tea light candles are the most appropriate ones for this decoration and they will look incredible once they light them up at parties, holidays, and other events at home. If your friends host a lot of parties and small get-together, this Bamboo Cheese Board with Cutlery can be a great housewarming gift for them. 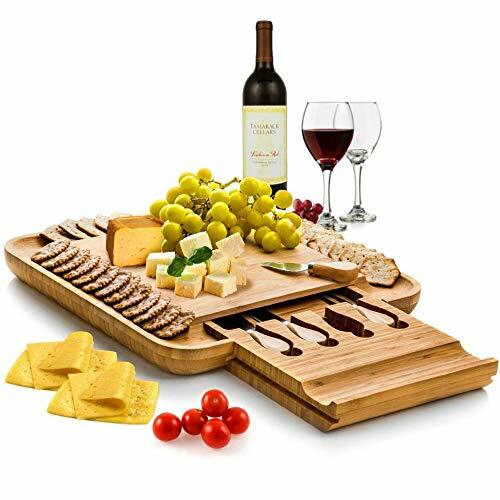 This bamboo cheese board is bordered by grooves to hold crackers, nuts or olives, and it comes with a hidden drawer to make all the cutlery available for everyone without taking up space. This makes for an awesome gift not just because the design is sleek and elegant, but because it comes with everything they’ll need to set up a great cheese board at any event they choose to host at their home. If your friends enjoy wine every Friday night and on every dinner, party or reunion, this Electric Wine Opener can be a super useful housewarming present. 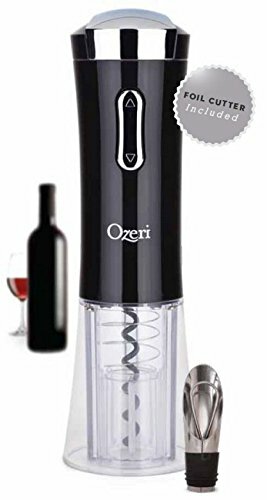 This electric wine opener features a European design with an ergonomic grip and it stands vertically on its own; no need for a base stand. It also comes with a wine pourer, wine stopper, and a removable lid that also works as a foil cutter. All they’ll need to do is a push a button to open a nice bottle of wine without any effort whatsoever. Every home needs a French press and this is one of the best ones out there for the price. 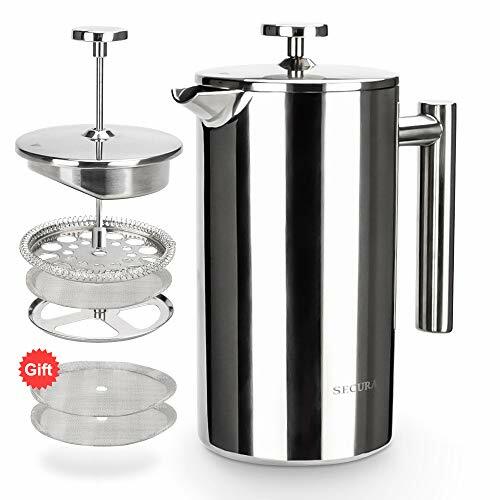 This Stainless Steel French Press is made from high-quality stainless steel, inside and out. This French press also features a 3-layered stainless steel filter structure that will produce the richest flavor. The filter screen is easy to clean and it also features a cool touch handle and knob for safe pouring. This item is also dishwasher safe, which is great! Overall, it can be a great housewarming gift for all coffee lovers out there. 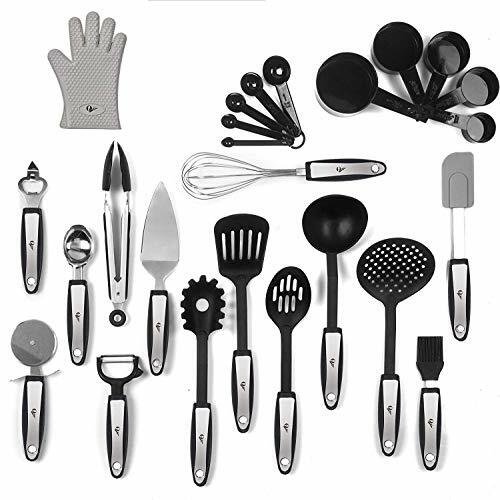 If your friends love cooking and spending time in the kitchen, getting them this 25 Piece Kitchen Tool Set is a great idea. These kitchen tools don’t only look sleek and elegant, they’re also practical and they provide everything one needs to cook up any dish at any moment. They offer a comfortable grip, they’re durable, super practical and versatile, and your friends will love you for it. If you don’t want to stop at the kitchen tool set and you want to take it up a notch, this spice rack can help you do that. The great thing about this Spice Rack is that it looks amazing and that it comes with a spice refill for 5 years. This means that when you purchase this rack, you’ll also be purchasing five years worth of spice refills. If that’s not a great housewarming gift, I don’t know what it! All spices are filled and sealed to ensure their freshness. 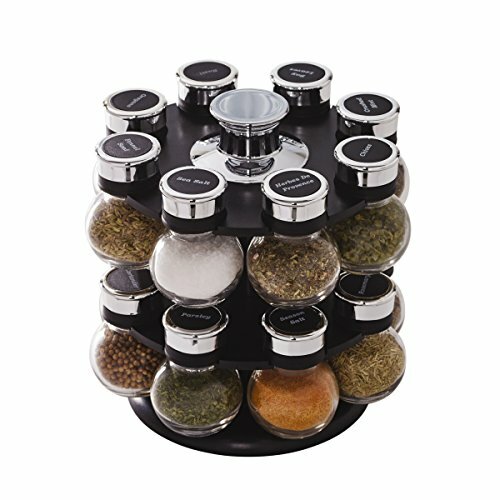 This spice rack comes with 16 pre-filled spice jars that include basil, parsley, garlic salt, oregano, coriander, and more! Steel canisters look great in the kitchen and they allow you to keep your grains and pasta super fresh and accessible at all times. 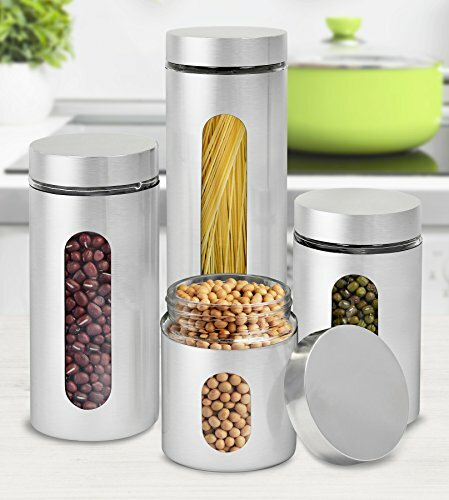 This set of 4 Steel Canisters With Window can be a nice housewarming gift and your friends will enjoy them very much. The design is super sleek, minimalist, and elegant, not to mention the airtight lid will keep everything fresh and safe from any outside contamination and liquid. Plus, they make kitchen organization very easy and convenient. A teapot kettle is another one of those items that just can’t be left out. 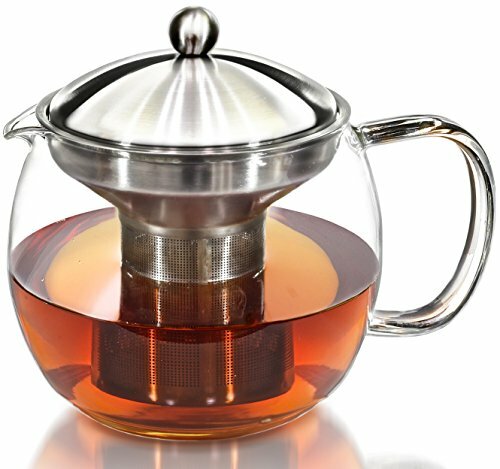 If your friends are getting a new home, then this Teapot Kettle can be the perfect housewarming gift. Especially if you know they love their afternoon tea! This kettle is large, beautiful, elegant, and it’s also microwavable, which makes it very easy to use. All they’ll need to do is add water, remove the lid and the stainless steel infuser, and just put it in the microwave until the water boils. The lid is spill-free and the infuser is rust-free as well, so overall this is a great appliance to have at home. If your friends enjoy their whiskey, then this Whiskey Decanter and Glasses Set will make them very happy! 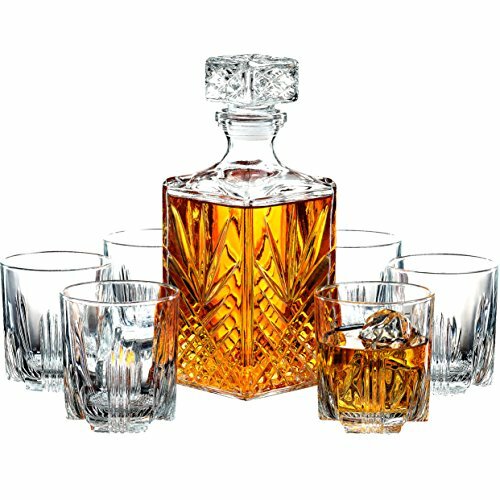 This set includes a squared, classic decanted with beveled fluted stopper and 6 whiskey tumbler glasses to go with it. The decanter and the glasses will look amazing and they will make pouring whiskey super comfortable and elegant. This is the perfect gift set for whiskey lovers and it will be greatly appreciated as well. Any of the items on this list will prove to be super useful and practical and they will help your friends make a home in their new house!